Boris Babacar Diaw-Riffiod, better known as Boris Diaw (born April 16, 1982), is a French professional basketball player for the Utah Jazz of the National Basketball Association (NBA). 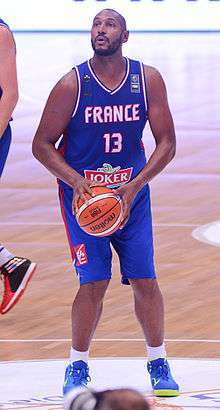 Diaw played in the French League before joining the NBA. He plays mostly at power forward. 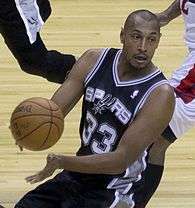 In 2006, Diaw was named the NBA's Most Improved Player as a member of the Phoenix Suns. He won an NBA championship with the San Antonio Spurs in 2014. Diaw represents the French national basketball team internationally. He won a FIBA World Cup bronze medal in 2014, a EuroBasket title in 2013, a silver medal in EuroBasket 2011 and two bronze in EuroBasket 2005 and EuroBasket 2015. He earned an All-Eurobasket Team selection in 2005. 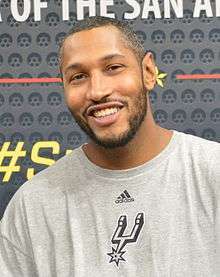 On June 15, 2014, Diaw won his first NBA championship after the Spurs defeated the Miami Heat 4-1 in the 2014 NBA Finals. He was inserted into the starting lineup beginning with Game 3, and he led all players in the series in total assists (29) and was second in total rebounds (43) behind teammate Tim Duncan (50). Diaw averaged 35 minutes per game in the Finals, an increase of over 10 minutes from the regular season. On July 8, 2016, Diaw was traded, along with a 2022 second-round pick and cash considerations, to the Utah Jazz in exchange for the rights to Olivier Hanlan. In early November 2016, Diaw missed eight games with a right leg contusion. Diaw's 6 ft 2 in (1.88 m) mother, Élisabeth Riffiod, is regarded as one of the best centers in French women's basketball history, while his father, Issa Diaw, is a former Senegalese high jump champion. He has a half-brother, Paco Diaw, who was a guard at Georgia Tech, but transferred to Lee University, a small NAIA school in the Southern States Athletic Conference. His other brother, Martin Diaw, played basketball for Division II's California University of Pennsylvania. ↑ "Johnson Trade to Atlanta Completed". NBA.com. August 19, 2005. Retrieved June 16, 2014. ↑ "Suns trade Bell, Diaw for Bobcats' Richardson". NBA.com. December 18, 2008. Retrieved June 16, 2014. ↑ "Bobcats waive Boris Diaw". ESPN.com. March 21, 2012. Retrieved June 16, 2014. ↑ Abrams, Jonathan (June 16, 2014). "Mon Frère Boris". Grantland.com. Archived from the original on June 22, 2014. ↑ "Jazz Acquire Boris Diaw and Draft Pick from Spurs". NBA.com. July 8, 2016. Retrieved July 8, 2016. ↑ Hawks Strike Gold with Diaw Archived March 11, 2005, at the Wayback Machine. ↑ "Boris Diaw, Are You Ready to Be Tony Parker's Best Man?". aolsportsblog.com. May 8, 2007. Retrieved May 12, 2007. ↑ "Babac'Ards - Empowering women & girls in Senegal through sport". 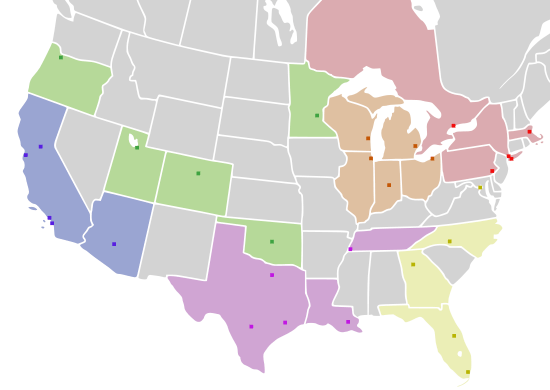 iwg-gti.org. Retrieved June 16, 2014.